It can sometimes be difficult for parents to appreciate the progress being made, with some technical and musical skills requiring a longer period of time to develop. Reports and external graded exam results can give a measurable feedback of progress, although these rarely happen more than once a year with only a proportion of students receiving top marks. How engaged is the student? 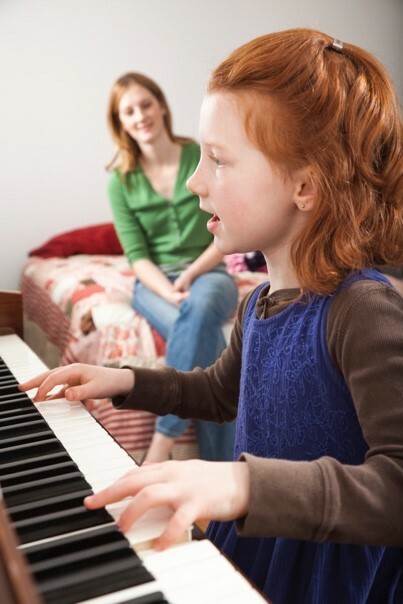 For most parents, value for money is observed through the child’s enthusiasm, motivation and enjoyment in their playing and how engaged they are with their practice and other musical activities including playing in an ensemble. Not wanting to practise is usually the reason that parents stop lessons. Students that are motivated to practise and understand how to get the most from their practice, will make enjoyable progress. The true value of the learning is what happens between the lessons. Parents also observe value for money through the professionalism of the service and the effectiveness of the teaching being offered. Regardless of how one becomes an effective teacher, effective teaching aims ultimately to guide and inspire the student to become self-learners including the use of effective practice skills. The value of effective teaching extends beyond the actual lesson itself. How does the parent observe effective teaching outside of the lesson? Is the teacher organised and keeping both students and parents informed? Parents want to know: What is my child working towards? How and what should they be practising? When is their next lesson and how are they getting on? How can we help? MyMusicPB.com have identified 3 key links that you can access now and strengthen to ensure that the personal enrichment value of music making is appreciated alongside the financial value, in order to protect the learning of this lifetime skill. The links between the teacher, student and parent are key to ensure that music tuition is effective and ultimately valued. MyMusicPB builds an accessible communication link with the parent including an automatic email notification after each lesson. As an interactive practice book, MyMusicPB effectively organises and links the teacher’s planning, notes and assessments with the student’s practice focus and progress. Parents are more informed and appreciative of the communication link and weekly progress indicators built into the practice book, helping to support their child’s learning. Students are more engaged through the interactive features of the practice book, leading to more practice, ​progress and enjoyment. Having recently been introduced to MyMusicPB, Katherine Wolfenden, Interim Head of Hertfordshire Music Service identifies the value of the improved communication link between the parent and teacher and how the added benefit of Admin Access effectively strengthens the links between all stakeholders. “The Music Service can have a stronger presence with the parents and students outside of the lesson while offering greater support to the teachers. MyMusicPB reflects the professionalism of the service we offer, while knowing that lessons are organised, linking and engaging for students”. Barry Chambers, Head of Music at Hitchin Girls’ School says “From the point of view of a Head of Music, MyMusicPB offers superb communication to all stakeholders and keeps parents very much in the loop and able to contact the teacher. A student and parent is able to track their weekly progress in lessons and also let the teacher know how their daily practise has been going, and if they have done any. As Head of Music, I can see quickly whether students are turning up to lessons and how they are progressing; targeting those that are not practising or having difficulties turning up. Early intervention is really the key here and MyMusicPB offers this in a superb and easy to use way”. ​MyMusicPB is free to use for all teachers. The linking interactive student practice books can be purchased separately by the parent or teacher. Alternatively, and better value, a school, music service or Hub may purchase a user licence, giving all their students and their parents access to a linking practice book. Having Admin Access, schools and music services are able to access key data to further support their teachers, students and parents. 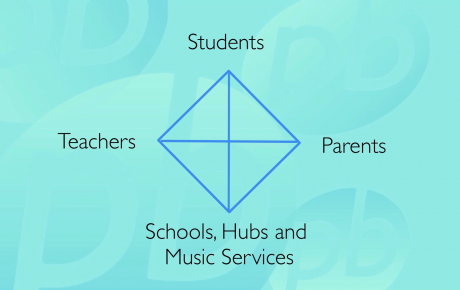 MyMusicPB effectively supports both individual and group lessons. As an online application, MyMusicPB can be accessed from any devise, with agreed data kept on a secure server with encrypted access, complying with updated GDPR regulations.